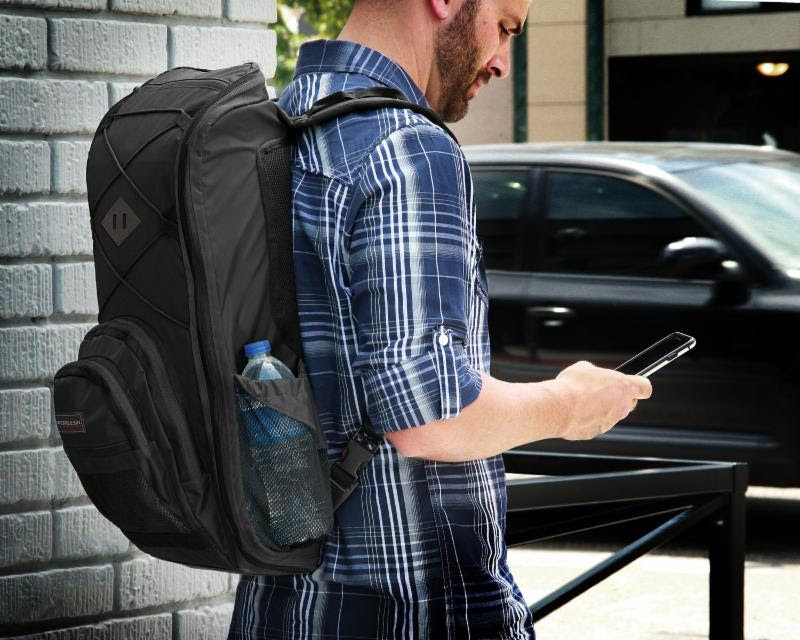 The Gen 3 Takedown Firearm Backpack provides the ideal low-profile, discreet transport for over 30 models of Takedown-style or compact firearms. proudly announces the third generation of its Takedown Firearm Backpack is now available and shipping directly from its website. 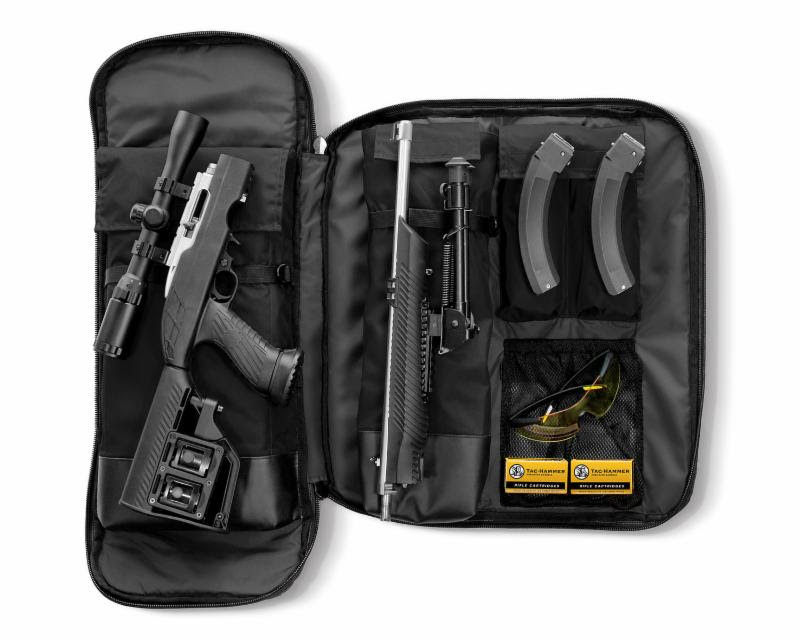 With the ability to transport discreetly a variety of over 30 models of Takedown-style or compact firearms, this pack provides a stylish, non-descript alternative for transporting firearms while remaining purpose-built and ready for rapid deployment. 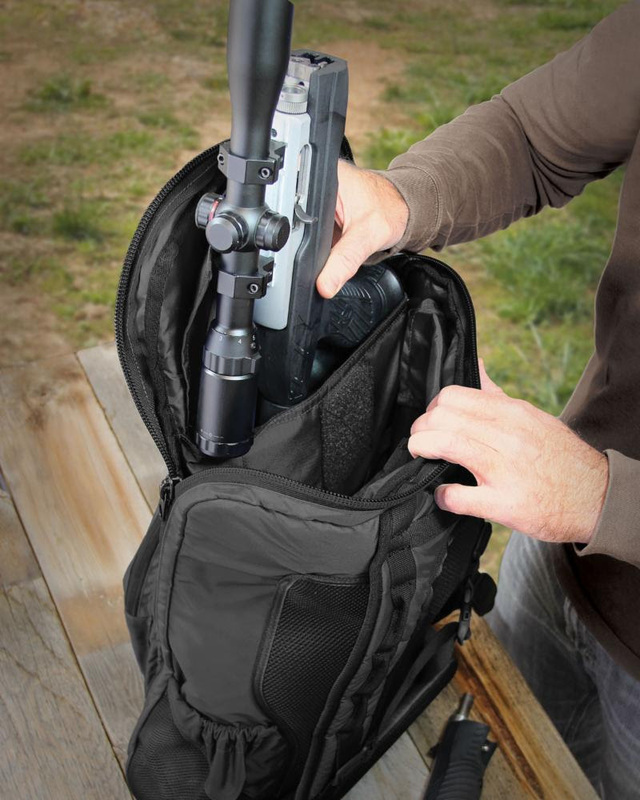 The Takedown Firearm Backpack has a quick access top flap for rapid removal and deployment of firearm components. This flap is part of a complete fold open design for easy access to components and gear at the range or in the field. The backpack’s dimensions have been designed to accommodate a variety of firearms with installed optics and bipods, with newly added longer internal pocket lids to accommodate an even wider variety of firearms. This diverse backpack also makes a good carry option for spotting scopes and other related gear. Layers of structural foam obscure the rifle’s signature contours and the interior of the pack’s pockets have been lined with fleece to protect the firearm and reduce noise. The low-profile backpack has been upgraded with new, more durable materials and unveiled in a customer requested gray and black color scheme. Upgraded features include a new, heavier weight nylon in place of the original polyester, as well as durable faux leather used on the external base and in the internal pocket bottoms. A “lash tag” has been added to the rear of the pack to add to a discreet, pedestrian appearance. In this same vein, the external branding patch has been designed as removeable to allow for a total non-descript appearance. This also allows the customer to personalize the backpack with alternate patches if he or she so desires. Larger Velcro patches have been added on the internal pockets to make for quicker closing of the lids, while the addition of a sliding cinch allows the user to tighten an external bungee around gear. All of these new features and the Takedown Firearm Backpack MSRP still remains $99.99. Visit the compatibility tab at http://www.copperbasingear.com/takedown-firearm-backpack.php for more model numbers. For more information on Copper Basin or to purchase the Takedown Firearm Backpack, visit www.copperbasingear.com. Copper Basin™ develops gear for people who enjoy the wild, rugged outdoors as much as we do. Our quality products are made to last, and are designed to perform when they’re needed the most: in the field. Copper Basin™ gear is designed to go beyond just the basic feature set. Our design team spends countless hours making sure every product is packed with technical features and innovation that enhances your outdoor experience.